Modern burglar alarms, although quite sophisticated, lack a bit of charm compared to their older predecessors. 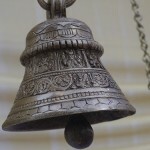 The old metal bell alarms have a certain charm that many collectors of antiques are now starting to recognize. As antique collectors and dealers are finding out, the past has provided us with many bizarre and outdated burglary prevention techniques. Although these are not practical for home use anymore, many of these strange alarm systems have appeal to collectors due to how rare they’ve become. Many early model burglar alarms have attracted the attention of antiques shops and vintage collectors due to their interesting, albeit unorthodox, technologies. For instance, some old burglar alarms from the turn of the last century look downright alien compared to modern systems. Some looked like door jambs that would strike a large alarm bell if someone attempted to open the door. Other early alarms might ignite small amounts of gunpowder to trick a would-be burglar into thinking someone had fired a gun. Some antique burglar alarms took it a step further by actually discharging a bullet at someone unexpected coming through the door. As you might imagine, these burglar alarms were eventually done away with because they were unsafe and impractical. Many vintage alarms are small-batch models that never garnered enough success for mass production. Even more recent burglar alarms, from the 1950s and 1960s, have had success with antiques buyers. These vintage alarms are usually very large and clumsy by today’s standards, since they were usually powered on car or motor boat batteries. To collectors, these big boxy burglar alarms can be quite enticing due to their impractical nature. 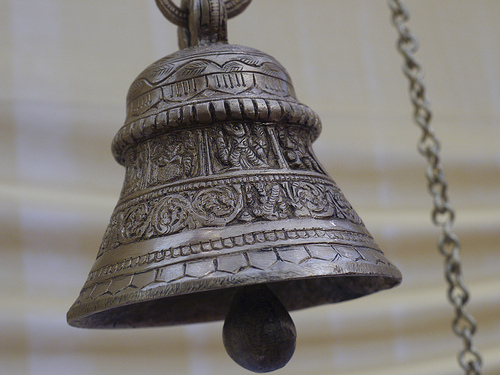 Finding antique burglar alarms can be tricky, given several factors. First, most vintage alarm systems already belong to antique collectors. There’s not much of an incentive for someone to hold on to a family heirloom alarm system, given their impracticality. So, finding antique burglar alarms at a yard sale or flea market can be tough. Also, many of these alarm systems are either quite fragile or very cumbersome. If you are ordering antique burglar alarms from an online retailer, shipping costs add up quickly. That being said, the Internet is an excellent place to look for antique burglar alarms. eBay, and other online marketplaces, will greatly assist in your search. However, when shopping for antique burglar alarms online, be sure that you are buying from a reputable seller. Antiques are worth the most when they are in mint condition, so the last thing you want is to drop hundreds of dollars on a broken piece of junk.